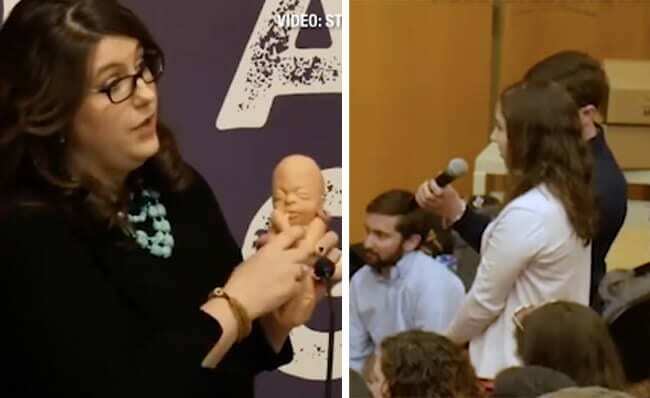 During a recent pro-life event at Boston College, a pro-choice student and a pro-life advocate went head to head arguing whether or not a baby born alive after a failed abortion should receive medical care. Kristan Hawkins, president of Students for Life of America addressed the college student asking her to explain the difference between offering care to a baby who survived a failed abortion, and providing treatment to an infant dying at the border in an immigration center. “Do you think babies who are going to die should be resuscitated and given care?” Hawkins asks. Recognizing how quickly she came to her answer, Hawkins offers up her question one more time only to get the same response from the student. That’s when things begin to get heated. Hawkins presses the woman to explain why she believes two different babies—equally alive, don’t deserve the same treatment based on their dying circumstances. Hawkins further presses the woman to specify how an abortionist can determine it’s not a baby. “Why is it not a baby?” she asks. Through tears, the student tries to explain that it’s only a fetus, and hasn’t been born yet—when in fact it has been. The student timidly argues that she believes this circumstance is rare—which it is, however, not terribly rare because as Hawkins points out, several abortion survivors were just recently at the white house. The argument is an important one as more and more proposed abortion bills continue to pop up around the country. 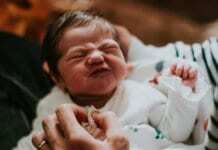 In New York, the Reproductive Health Act, which passed in January, removes protections for babies born alive after an abortion— meaning they could be left to die after birth. No differently than a baby being left to die by the government at the border, which the student unequivocally believes should not happen–that child should receive medical care. While Hawkins passionately presents facts throughout the hypothetical, the student comes up short on her explanation of why a baby born after a failed abortion is not actually considered a baby worthy of care.